WINDSOR – Brian Masse M.P. 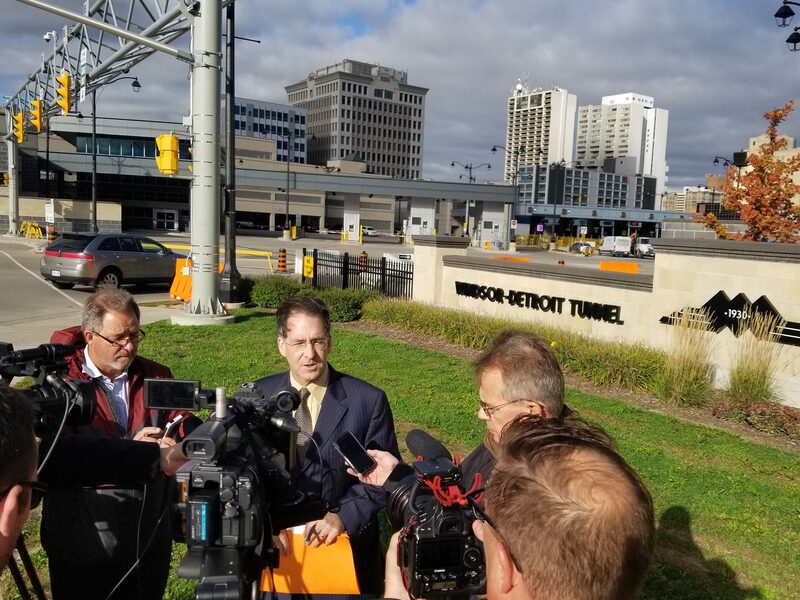 (Windsor West) is reminding cross border travelers about a new culture of crossing the Canada-US Border with the legalization of cannabis. The recreational use of marijuana will be permitted in Canada on October 17th, while there is still confusion about how this will impact Provinces and Municipalities, what is clear is the United States is prepared. Brian Masse MP Discussing Impacts of the Legalization of Cannabis for Travelers at the Canada – US Border. While in Washington D.C. representing Canada, Mr. Masse heard from senior officials at the U.S. Customs and Border Protection agency who reiterated that cannabis legislation in could “affect an individual’s admissibility to the U.S.” What was also crystal clear was that despite any changes in a state law, it will have no effect on travelers between our countries as marijuana is still listed as a harmful narcotic, the same as other illicit drugs. “Our laissez faire approach with the U.S. on this issue should not give a false sense of security for those wishing to enter the United States; in fact, it’s been noted.” stated Masse. The Trudeau Government has decided to take a wait and see approach to the effects of legalization of marijuana on our bi-lateral relationship with the United States: “We have no idea or backup plans on impacts at the Canada-US border with our most important trading partner. Each day thousands of people and billions of dollars of economic activity are at stake, individual job security is at risk, making investment decisions are now murky, and no plans for wait times have been examined. The shocking fact is there has been no economic analysis, nor any conclusions of standard practices even with the USMCA.” Masse stated. 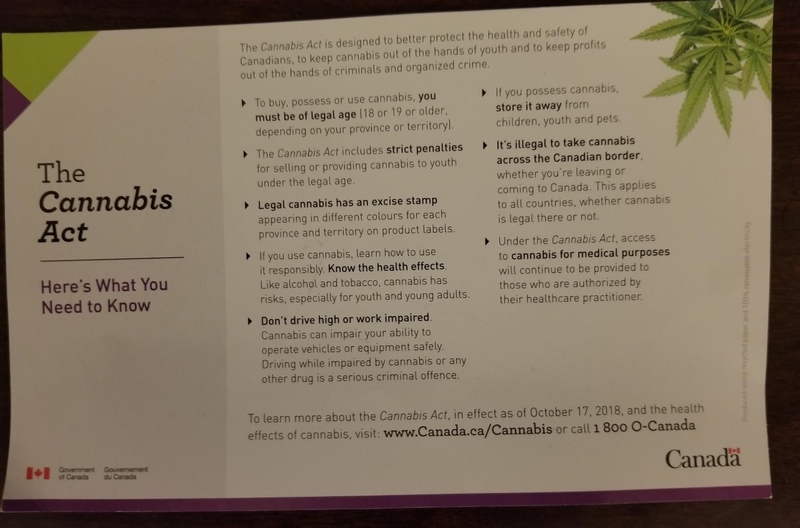 Flyer recently sent to some Canadians on the impacts of the legalization of Cannabis.